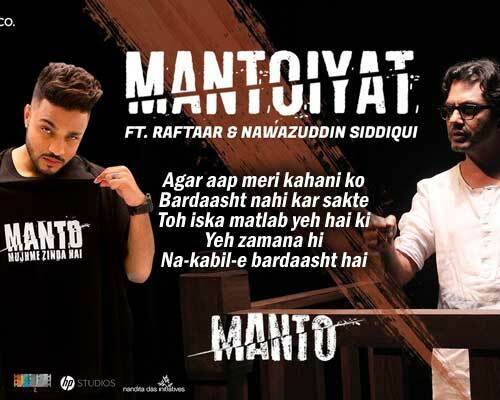 Mantoiyat Lyrics by Raftaar and Nawazuddin Siddiqui of Manto is an amazing song sung by Raftaar. Its music is composed by Raftaar and lyrics are written by Raftaar and Saadat Hasan Manto. If you find any mistake in lyrics of MANTOIYAT LYRICS – Raftaar | Nawazuddin Siddiqui | Manto song please let us know in comments.